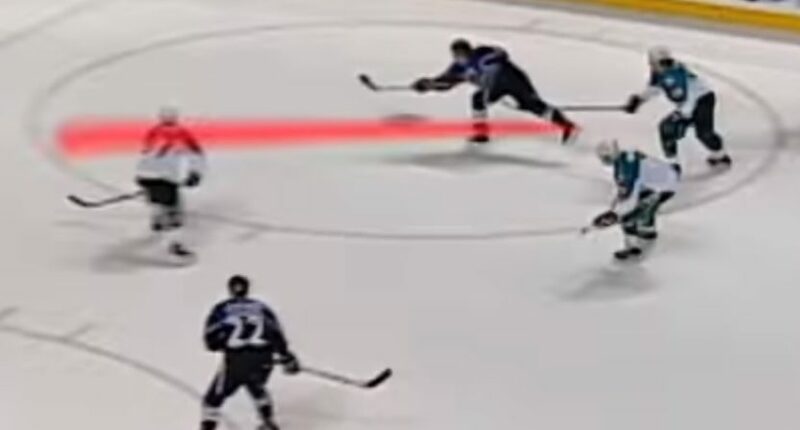 Would the glow puck and its comet trail seem as silly on current sports TV broadcasts? Has it really been 20 years since Fox Sports’ glow puck was a presence on the network’s NHL telecasts? It’s been so long that many readers and fans might not even be aware that this gimmick existed (or that Fox once had the NHL). But perhaps so much time has passed that it’s time to revisit this technological contraptino, as Greg Wyshynski suggests in his first column for ESPN.com. The glow puck is widely reviled as one of the worst innovations in sports TV history. But Fox probably deserves some credit for trying something new. When the network won NHL rights in 1994, then-Fox Sports president David Hill wanted something that would help the puck be seen more easily on TV. Remember, this was before the age of high-definition television and beautiful, wide flatscreen TVs. The frequent knock against hockey was that the puck wasn’t visible, even though cameras and the players themselves gave viewers an idea of where to follow the action. It’s true, however, that when the puck went into near corners on the ice, it couldn’t be seen. This never seemed to bother hockey fans, but of course, Fox wasn’t after hockey fans. The network was trying to attract a new audience to the NHL. Wyshynski explains how the technology worked. 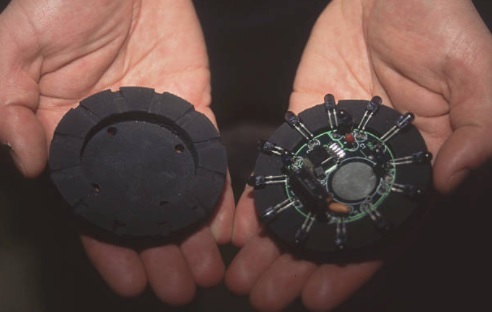 FoxTrax was a revolutionary system that used infrared technology to follow LED lights that were embedded inside the puck. They pulsed 30 times per second as modified cameras picked up the signal, and the result was a peculiar hazy oval of color around the puck that made it look like a blueberry that had been marinated in toxic waste. The effect was like something that you might see on a sports highlights package or some spoof feature. The puck did indeed have a glow around it, and when the puck was shot hard from a distance, a comet-like trail would follow it. The puck would also note how fast it was traveling on a slap shot, which did underline how impressive a save by the goalie was. Yet the action was also somewhat obscured by the heavy graphics and colors from the puck. It may have been suitable for a video game, but for a legitimate sports broadcast — for one of the four major sports — it was an embarrassing gimmick. Another issue was the puck itself. Players such as the Detroit Red Wings’ Igor Larionov complained that the puck wouldn’t freeze like the normal disc made of vulcanized black rubber. So the Fox glow puck would stick to the ice (especially the side where the sensors were) or bounce, and not slide in ways that the players were accustomed to. However, maybe technology has vastly improved 20 years later. Tracking devices wouldn’t be nearly as cumbersome. Maybe we’d just be talking about a chip or sensor that could signal back to a production truck like a GPS (pardon my complete lack of technological knowledge here) or create a digital image, much like the first-down lines on football telecasts. Wyshynski writes that he’s willing to give the glow puck — or whatever iteration it would take these days — a second chance. And suggesting that it’s time to revisit the possibility is a great point. For one thing, TV broadcasts are vastly different. As viewers, we’re accustomed to all sorts of graphics on the screen now, like those first-down lines and the strike zone on MLB telecasts. We even see the children of the glow puck in MLB’s Statcast technology that tracks fly ball paths, exit velocities and so forth. NBA telecasts has adopted these sorts of graphics and effects as well. Maybe improved TVs with their hi-def images have negated the use for such a gimmick. The puck stands out better now on our flatscreens. But as Wyshynski suggests, maybe it would be a fun bit of nostalgia to bring back for exhibitions like the All-Star Game. Or maybe for a Winter Classic game that might draw a wider audience. Just don’t bring gimmicks into serious hockey like the postseason — especially the Stanley Cup Final. Is 20 years enough time to give the glow puck another chance?